Plastica Liner Peg 1.7" Stainless Steel Ladder is made of 304 grade stainless steel tube. Tube diameter of 1.7" Stainless Steel Anti-Slip treads. 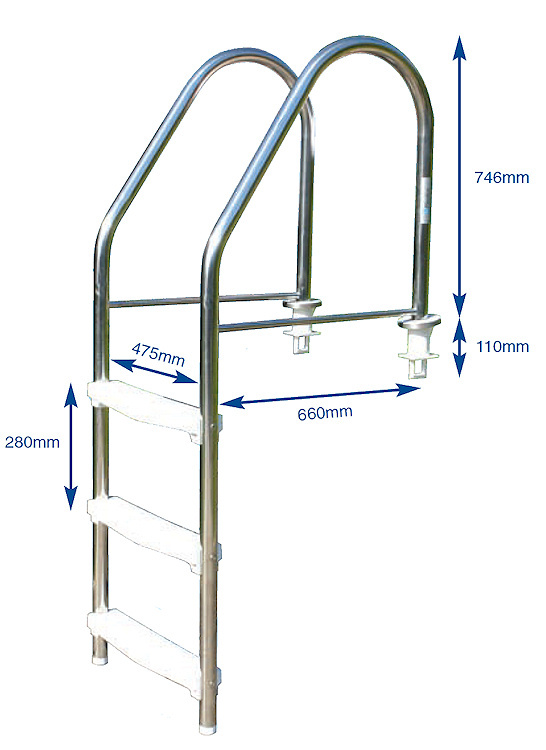 Plastica Liner Peg 1.7" Stainless Steel Ladder is made of 316 grade stainless steel tube. Tube diameter of 1.7" with Stainless Steel treads. Available in 3 Tread ladder size only. Designed to sit on the pool floor in a typical liner pool to avoid the usual damage caused by ladders rubbing on the pool walls. British Made by Plastica in Hastings.